Imagination and a zest for life! we had to get to Iceland. There was no changing of destination. No, that was not an option. My husband has always wanted to see Iceland. And that was that. So, like the good SuperWoman bride that I am, I got creative. I started with forgoing the traditional registry and created a honeymoon registry through zola.com. Next, I started deal searching like crazy. Hours, maybe even the equivalent of days (in hours) were dedicated to this. Then for my bridal shower, my sister and future sister-in-law set up a honeyfund jar. They put money in the jar as well and my sister was sure to write her name on a $1 bill and her husband Cory on another $1 bill. Know where we're headed now? 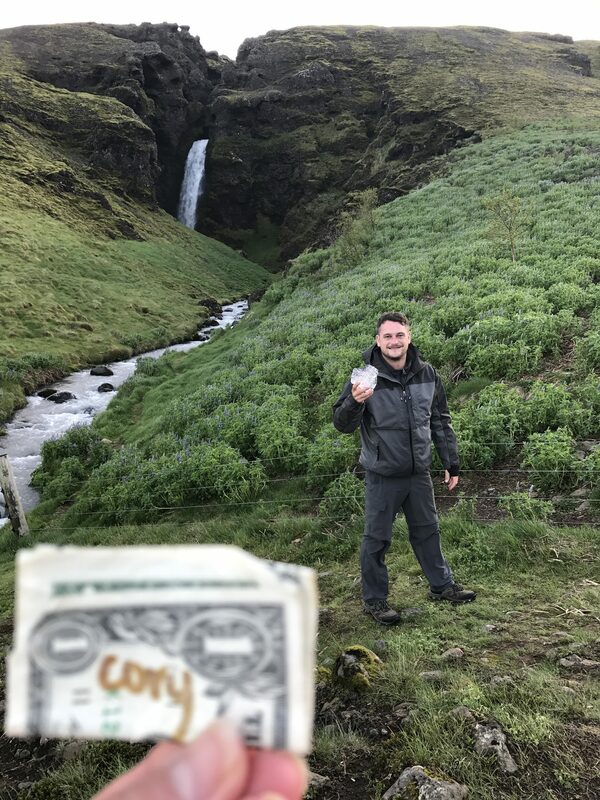 The plan was simple, each time we made a stop somewhere, I would take a picture with my Cory Dollar. Selfie's get boring after a while and this was a fresh replacement. After each stop, I would send a group text to the fam telling them about where we were at. This was taken around midnight. 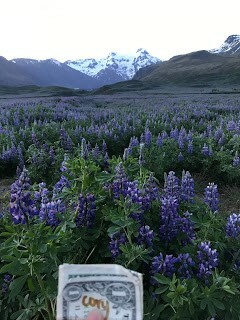 They are lupens, but we called them Icelandic Bluebonnets! Welcome to Gjain, land of the fairies. Want to see all the photos? Visit the Where’s Cory? Album here. I was able to enjoy my vacation with my spouse without getting distracted while maintaining constant contact with my family. I didn't let their conversation drive how and where I took the photos. Everyone loved the activity and the comments were hilarious. They said it made them feel like they were there with us the whole time. 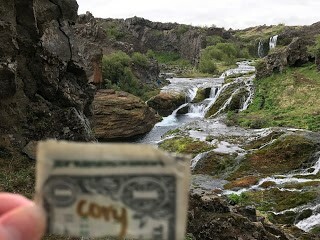 In fact, we had so much fun we have decided that Cory is coming with us on future vacations. Now that I’ve gotten the hang of this, the goal is to take our photography to new heights in the future. Who knows where he’ll end up! Where do you think we should take him next? Let us know in the comments or on the Facebook Group and Cory thanks you in advance.